If you’ve ever wanted watch a QuickTime MOV movie on Android phone or tablet, you know that the default video app isn’t always going to cut it. 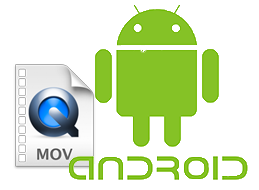 Generally speaking, Android doesn’t support MOV(QuickTime) files. Fortunately, there are 2 easy ways to get MOV playble on your Android gadget. You can convert MOV to Android compatible video formats or use a third-party Android media player that enables the playback of MOV formats. Check out the two easy solutions here. With the rapid development of the smartphone technology, the apps are developed more and more with powerful functions. With these apps we can almost meet our daily needs of working, entertainment and living trivia. Below are the top 3 Android media players which may bring you the conveniences on playing MOV, MKV, MPG and more with your Android devices. The first recommendation is VLC, which will play just about any video or audio file thrown at it and MOV is no exception. VLC recently came out with some pretty significant changes, and even if you don’t plan on using it to play .MOV movies, it’s a worthwhile app to have on any Android device. Some users report performance issues with playing MOV from VLC, but I’ve had no such problems. Some may remember Wondarshare for their desktop software which included a pretty good video converter. It turns out they also have a video player available that’s pretty solid. This Android media player supports various video formats like FLV, MKV, AVI, ROMB, MP4, MOV and more. Besides, you can also use it to watch videos from the most popular entertainment sites, like YouTube, Vevo, Matecafe, Vimeo, etc.. It’s free to use so there is no harm in trying it out. 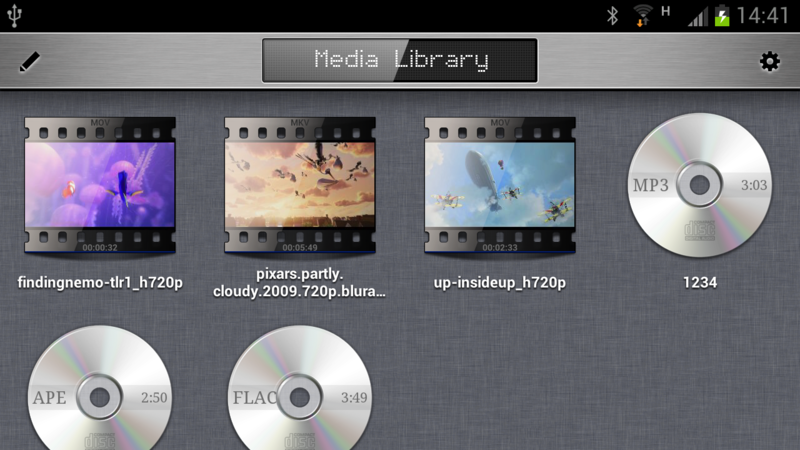 RockPlayer2 is a highly popular and stable Android video player option for playing MOV files. It plays pretty much every codec including MOV movies and the developers even have an x86 version for those few that have x86 processors. It’s free to use with in app purchases. With the features and price, it’s worth checking out. Of course, there are many more great Android media players like MoboPlayer, MX Player, etc. 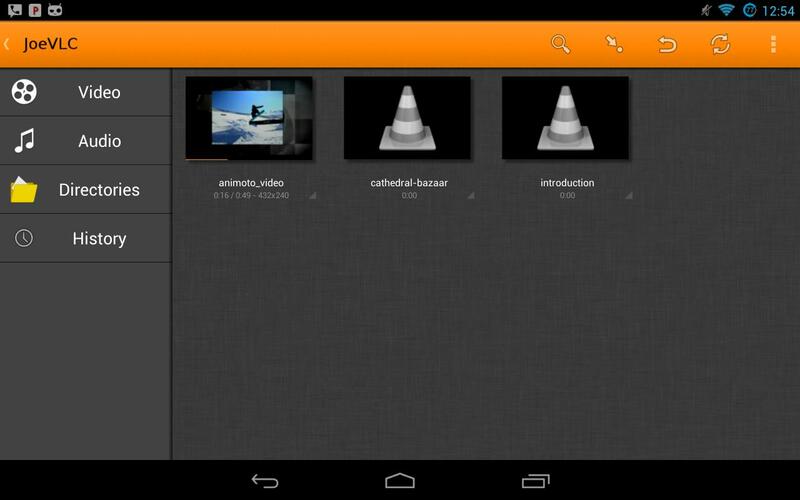 out there that allow us to play MOV files on Android, just get the one most suitable for you. Even with a powerful video player, you may still get trouble during video playback on your Android tablet or smartphone. Sometimes, a special video format may cause your Android gadget crash. Therefore, video conversion is quite urgent. Brorsoft Video Converter Ultimate (available for Windows and Mac users) is the bee’s knees, which can help you convert DVD/Blu-ray and all popular video formats like MOV, MKV, VOB, AVI, WMV, FLV, MPG and more to Android fully compatible formats with fast speed and excellent output video quality. The program offers many optimized presets for almost all Android devices like Samsung Galaxy Tab S2, Galaxy S6, Galaxy S6 Edge, Amazon Kindle Fires, Google Nexus 7/10, Asus, Archos, etc. as well as iPad, iPhone and Apple TV. Now let’s see how to use it. Step 1: Drag the MOV files onto the interface.